Talk about being honored and proud! 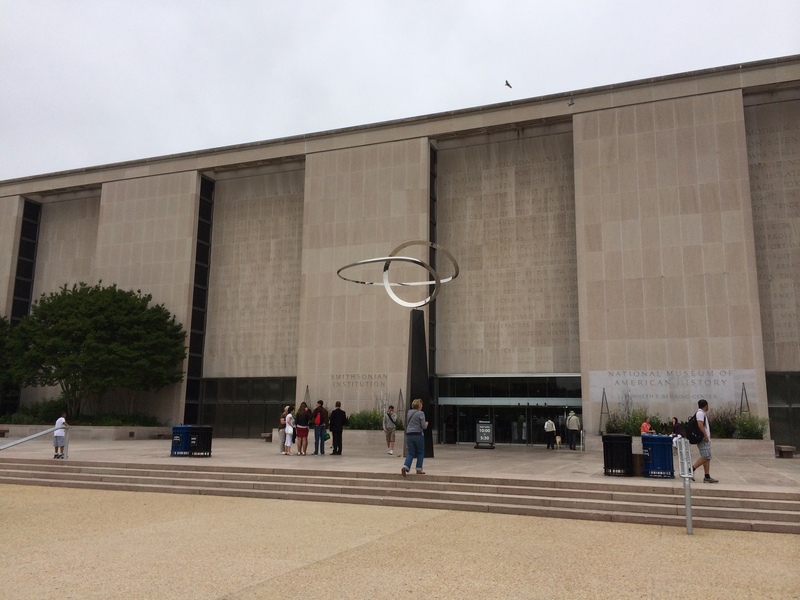 I recently had the honor of visiting the Smithsonian’s American History Museum and taking a “backstage” tour with Jane Rogers, curator of sports. You may remember that I first met Jane two years ago when she attended the Winter Iditarod Conference for Teachers (LINK). She was there to learn more about the race and to begin to collect artifacts for a possible exhibit about the sport of dog mushing and the Iditarod. The race is such an integral part of Alaska’s history and culture; it’s not just a sporting event! The whole journey started for Jane when someone donated Libby Riddle’s sled to the museum (LINK). By setting out into a storm that held must mushers up in the checkpoint, Libby became the first woman to win the Iditarod. She is still a presence at race time… she greeted team after team under the Burled Arch and provides specially made hats for the highest placing female Junior Iditarod mushers. But one object doesn’t make an exhibit, and the sled needed to be put into context, so Jane set about learning about mushing and gathering other Iditarod items. This is one of my favorite conversations to have with kids. What if you needed to create a museum exhibit about the Iditarod but you could only include ten items? What would you include? From whom would you collect them? What part of the Iditarod story would you tell? It’s fascinating, because from speaking with Jane and visiting the Anchorage Museum with her, I’ve come to realize that the Smithsonian isn’t just about collecting “stuff.” The stories that the “stuff” tells and represents are the key! And as you know… the stories are what drew me to the race in the first place! Yes, you read that correctly… the Teacher on the Trail program is represented in the Smithsonian American History Museum! Jane realized that education is such a huge part of the Iditarod story that it needed to be represented in the collection. I am so honored to represent all of the amazing teachers who have realized the value of using the race and as you can imagine my kids are over the moon to know their art work is there! So I took a day off from school and took the train down to DC with my bag of artifacts. Jane met me in the lobby and took me up to the storage area and opened cabinet after cabinet after cabinet to let me see all of the Smithsonian goodies in storage. The sports are in the Division of Culture and the Arts, so the storage room I got to poke around I was amazing…. I got to see skateboards and snowboards, Lance Armstrong’s bike, Olympic uniforms, tennis rackets, ice skates, trophies, professional wrestling costumes, sports balls of all sizes, and more. The cool thing is that not just professional athletes are represented… part of the American sports story is the millions of kids who play sports too! So there are kids’ trophies in cases right next to trophies won by people like Tiger Woods. This room was also where all of the TV and Movie memorabilia is stored as well! So I got peeks at Fonzie’s leather coat, Klinger’s dresses, Batman’s masks, Edith Bunker’s chair, the typewriter from Murder She Wrote, Ginger Rogers’ gown, the Muppets, and so much more! It was really amazing… like exploring America’s attic! And there sits my little patch in the middle of all of it.